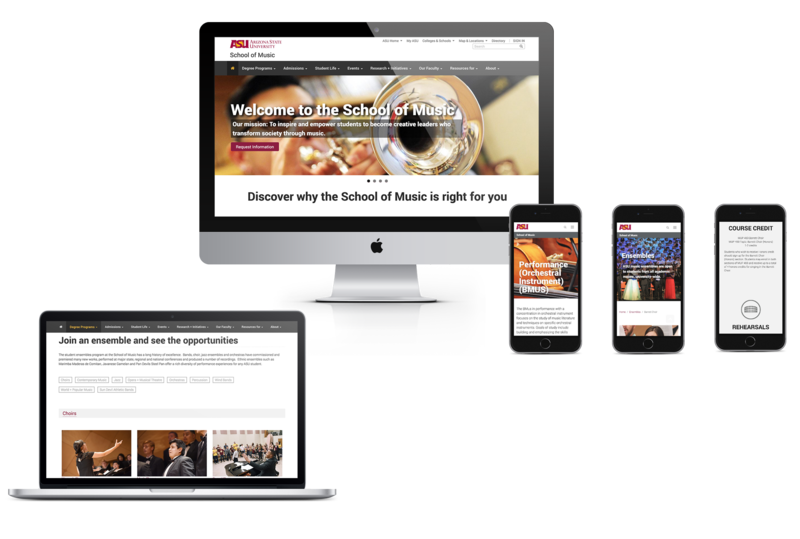 Web design and development for The Design School, Arizona State University. The Design School at Arizona State University is one of the most comprehensive design schools in the nation. 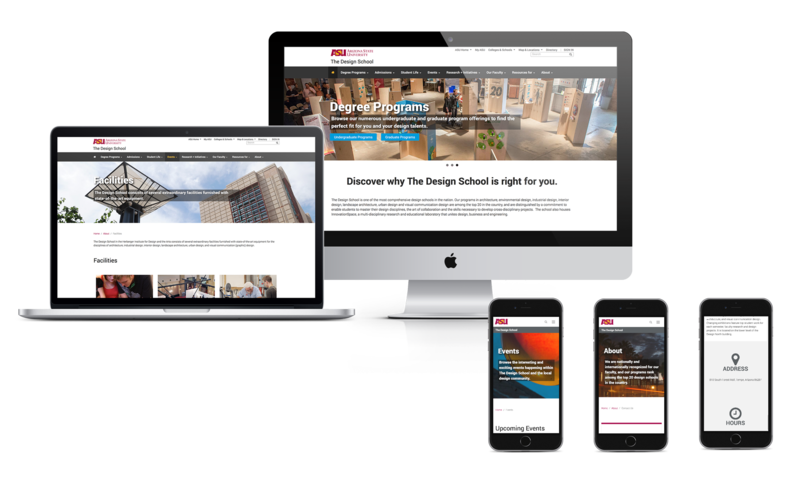 This challenge is to redesign The Design School website so it aligns with ASU branding but also shows its own personality as a design institute. I worked closely with the school faculty, the University Technology Office as well as the ASU branding office on this project and was involved in the entire design and development process from the very beginning to the final launch. I was also involved in the design and development of other school websites under Herberger Institute, including The School of Music, The School of Film, Dance and Theatre, and The School of Arts, Media and Engineering.